JPMorgan Chase & Co has reported a profit for the third quarter, as the largest bank in the U.S. moved beyond the huge legal costs that caused the behemoth financial institute to post a loss during the same quarter one year ago. The bank has posted $5.6 billion in net income equal to $1.36 a share for the three months that ended September 30. That is compared to a $380 million loss during the same quarter one year ago. 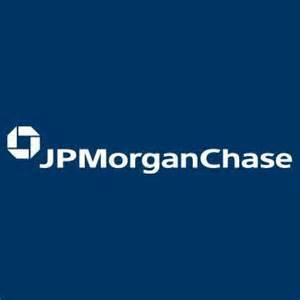 A spokesperson for JPMorgan said there would be no immediate comments regarding earnings. Analysts were expecting earnings of $1.38 a share. Jamie Dimon the CEO at JPMorgan has had to contend with increasing expenses as the financial institute bolsters its compliance with regulators and increases its computer security. Revenue beat estimates of analysts helped from higher than had been expected revenue from fixed income trading. If you look at the number it shows a miss, but all its business are doing well, said a fund manager in England. Revenue during the most recently ended quarter was up 5.4% to end the three months at $25.3 billion, which beat the estimate of analysts of $24.4 billion. Revenue from fixed income trading was up 2% to end the quarter at $3.49 billion, which was fueled by its strength in currencies and in emerging markets. The stock at JPMorgan did not change much on the news dropping in premarket trading by just 6 cents. JPMorgan is the largest fixed-income trading company and has grappled with that market having sluggish activity caused in part from intervention by the Fed. Marianne Lake the CFO at JPMorgan said low client volume would likely continue through the first six months of 2015, but trading in fixed income likely was given a boost as the volatility increased during the quarter’s final weeks. Dimon last week made his first appearance in public since he underwent eight weeks of throat cancer treatments. He might address some questions today about the prognosis. Lake said that during his treatment, Dimon has shocked everyone and been present in the offices of the bank in New York.